Do you want to delete Gmail email account (Google Mail) permanently? Gmail is a popular web based email service provider with lot of features and functionality. Few users may want to delete their Gmail email account. You can easily delete and remove your Gmail email account permanently by using following procedure. 1. Open Gmail.com in your web browser and login into your Gmail account. 2. Then click “Settings” link at top right part of Gmail email interface. 3. Further click “Accounts and Import” tab on the “Settings” page. 4. 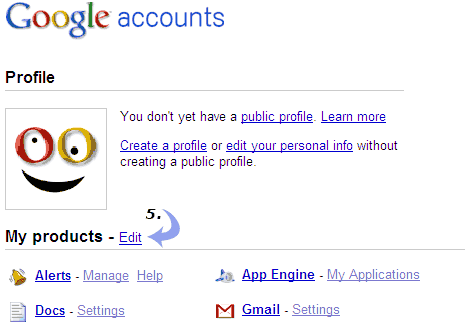 Then click “Google Account Settings” link to access settings webpage. 5. Now click “Edit” next to ‘My Products’ listing. 6. Click ‘Remove Gmail permanently’ link to remove your Gmail account. You can also delete access to other Google services as listing on the screen. Above will only delete and remove access to your Gmail email account. You can still use your Gmail account login to access other Google services. 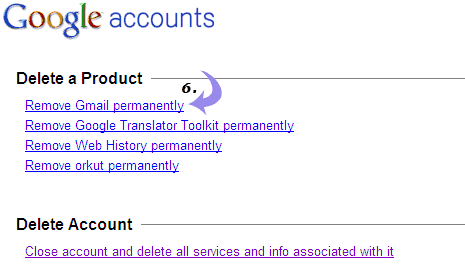 For complete removal, you can completely delete Google account.